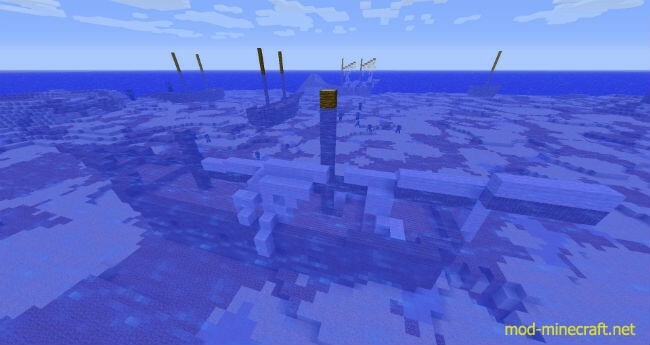 Shipwrecks Mod adds shipwrecks to the Ocean and Beach biome generation featuring new ships, a new mob, and a diving suit, rowboats, sailboats (upright and sideways), sloops, schooners, and the Waverunner to oceans and beaches. Sideways. 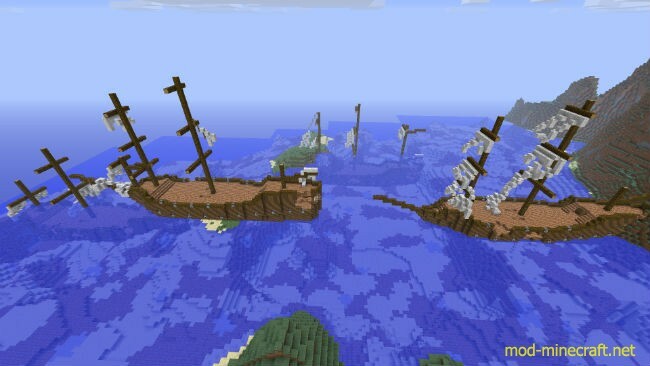 Chests and broken masts have a random chance of spawning within 20 blocks in any direction from the boat. 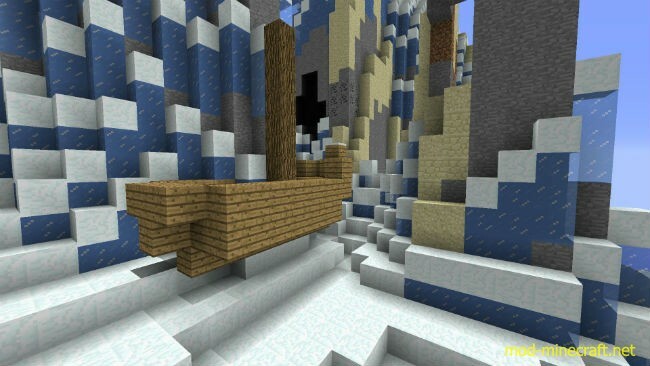 There are 6 sections of torn sails that each have a 50% chance of spawning. The mast can also be broken. Dispensers in all ships have arrows or fire charges. Check all the chests inside! 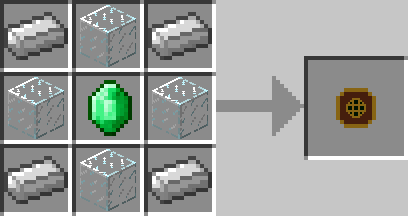 You will always get an iron block and a gold (50%), emerald (30%) or diamond (20%) block. The largest ship to date. This ship is extremely rare. Its large enough that you will drown before you can explore the lower decks unless you come prepared. 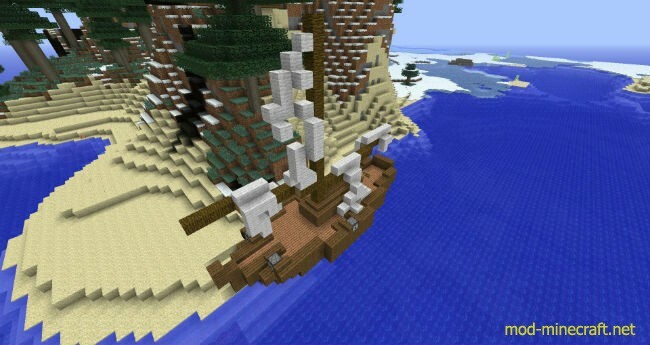 This ship is carrying a large load of valuable ore, as well as some interesting trinkets. 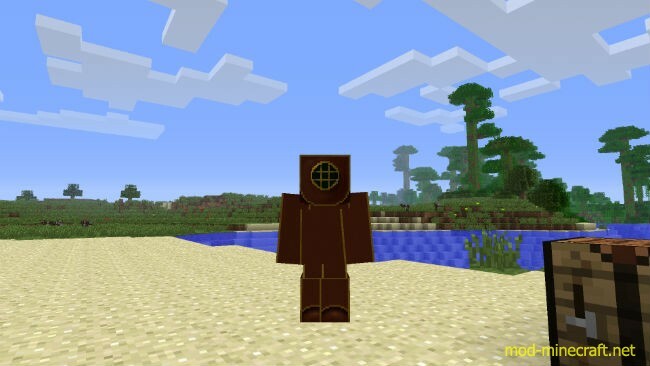 Wearing the full suit will allow you to breathe underwater. The helmet will add nightvision, so you can easily see underwater as well. If you are not in water while wearing the suit, you will be slowed down (this includes bobbing on top of the water). 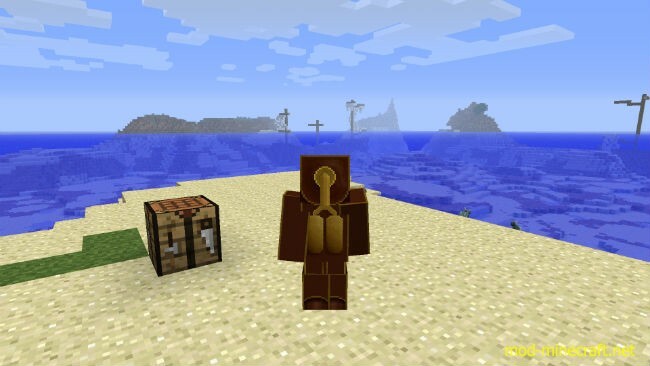 Each piece of armor will increase the slowness effect by 1 level. This armor is somewhat expensive to make and it will wear out eventually. The Piranha! 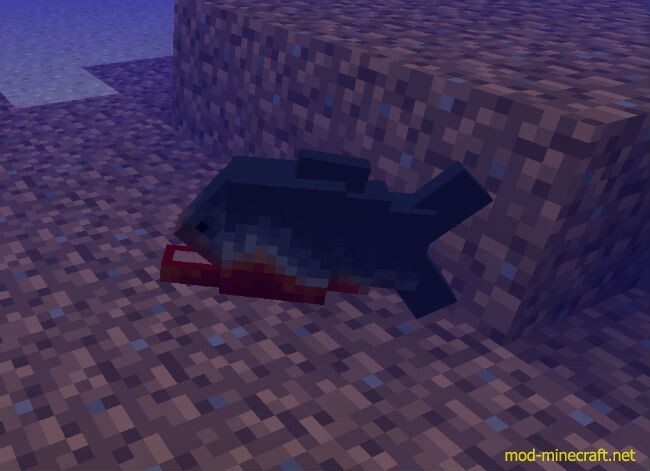 The fish will spawn and move in schools. 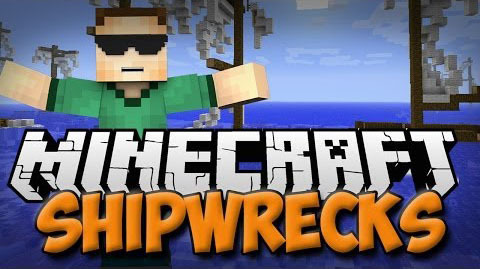 They have low health and attack strength, but you may run into a group of 20+ in some shipwrecks. 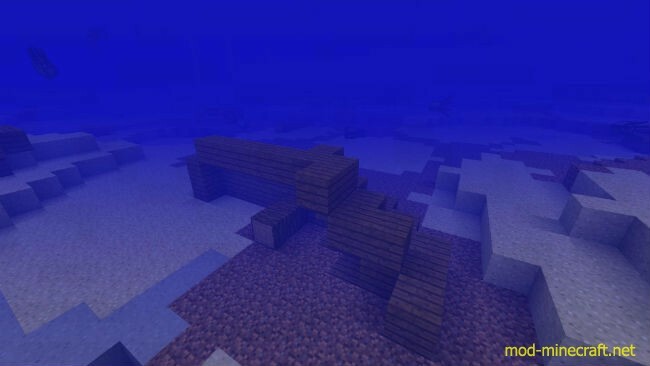 Spawning of these fish is currently tied to the larger 3 shipwrecks.